Some of the Leinster backlash following defeat to Toulouse was as predictably over-blown as the reaction to their defeat of Wasps. Complacency, the lazy adjective ascribed to the champions after the thunderous epic in the south of France, was wildly wide of the mark. In fact, it occupied pretty much the same territory as some of the hyperbole that attached to them only a week earlier, Lawrence Dallaglio leading the charge with his comparison to the All Blacks. "Pure s**te!" reckons Seán O'Brien in typically inimitable fashion. "It's not realistic. How can you compare an All Black international team to a provincial team? "He should know better, shouldn't he? That's an outside perception. I can honestly say that is not our perception. "We're trying to create an environment and a set-up that is ours. We would never compare ourselves to the All Blacks now or in the future in any respect. "I wouldn't analyse it at all as a compliment. That's someone else's thing. It's not coming from us. I wouldn't be losing any sleep over it." 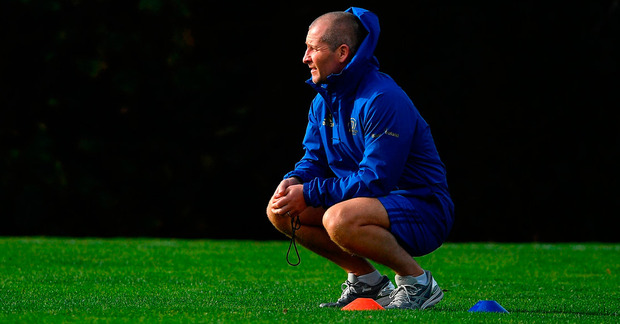 Balance is required and, if anything, its absence last Sunday might be the chief criticism to be levelled at Leinster's first European loss since the 27-22 semi-final defeat to Clermont in France 18 months ago. That loss was an important stepping stone for the squad; Sunday's might prove to be just as significant if Stuart Lancaster is to be believed. A lack of competency at key moments, rather than a surge in complacency, served to down Leinster, aided by the complication of an extraordinarily committed opponent. The double champions have thrived on being "comfortable in chaos". Fresh from their morning review, it is perhaps appropriate to also review the reviewer. And so it is pertinent to ask Stuart Lancaster were Leinster, far from being comfortable in chaos, rather more uncomfortable in chaos? "I think that's fair," he assents. "I think the key things we talked about were the first 20 and the last 20. "You know, when you go to France, and I think Clermont told us this in that semi-final, when you go to those high intense French atmospheres, you need to start well and you need to take the energy out of the crowd and I think we did the opposite. We gave them three points, six points. "They played well, no doubt they were one of the best teams we played against in terms of the uniqueness of how they played, they did the homework and key ball players played very well. "But it was disappointing to give them that 14-point start. We then fight hard to get to 27-21 with 60 minutes gone, to then throw an intercept and one or two what I would call mental errors - a missed lineout, this, that and the other. "It's taught us a good lesson. I mean the difference between this game and the Clermont game is that the Clermont game was a semi-final. We never got a second chance. "Whereas in this scenario we can take a lot from that and understand that if you look at Europe last year, it was pretty unique that any team won six and lost none. In fact, I think most teams who qualified won four and lost two - Clermont, Munster. Saracens won three, drew one and lost two and still qualified. "So there's still 20 points to play for and we're on six, but we have to learn the lesson because, with the atmosphere and intensity of the crowd, it definitely affected some of our decision-making under pressure and we need to be better at that." Compounding the frustration is not only that Lancaster endured this experience before with Leinster, but also with England; the 2014 Six Nations opener in Paris an almost mirror image of last Sunday. His England coughed up a 16-3 lead before assuming control in the final quarter, 24-19, before being buried by Gael Fickou's last-minute touchdown. All of which leads to a quite phlegmatic admission from the senior coach about Sunday's loss. "I could have prepared them better for that," he concedes. "I think we needed to play the style of rugby we did to close the gap," he continues, when pressed as to Leinster's persistence with a running game. "But at times we gave them too much time on the ball when they played from deep. "Because we knew we were fitter than them and we could see the line breaks occurring. "It was hard to make out on television but you could see their forwards starting to walk and that the pressure we're starting to put on them was paying dividend. "The intercept was such a huge moment in the game psychologically. If we had have executed the play, there was a massive hole and he took the gamble, he got the ball. "But if he had missed the ball, we probably would have gone through to score the try. "Even then we've still got 10 minutes. I don't think it was complacency or anything like that, it was a lesson learned. And it was a good one for us. "I just think you've got to give them and their coaches credit. They prepared their team well, they played a good brand and it was a great game of rugby. "Small margins could have gone our way and we would have been happy. But we're not happy, which is probably not a bad thing for us."